The Fiji Football Association (Fiji FA) yesterday announced the appointment of Mohammed Yusuf as its chief executive officer. Yusuf, a former Fiji FA senior vice- president and former Nadroga Soccer Association president, is returning from New Zealand to take up the CEO role. He replaces the long-serving administrator and CEO Bob Kumar who will now retire after serving the organisation for over 25 years. Fiji FA president Rajesh Patel said Yusuf was selected by the Board following a thorough recruitment process designed around the organisation’s future growth plans. “We’d like to thank Bob for his many years of dedicated service to Fijian and Oceania football,” Patel said. Patel said the Fiji FA Board wanted to strengthen its community engagement and reaffirm football’s proud place among Fiji’s leading sports. “Strengthening the talent and fan base will also be a key focus,” he added. An experienced football administrator and business executive, Yusuf spent the past 10 years in New Zealand in senior supervisory roles with Lufthansa Service Group based at Auckland Airport. 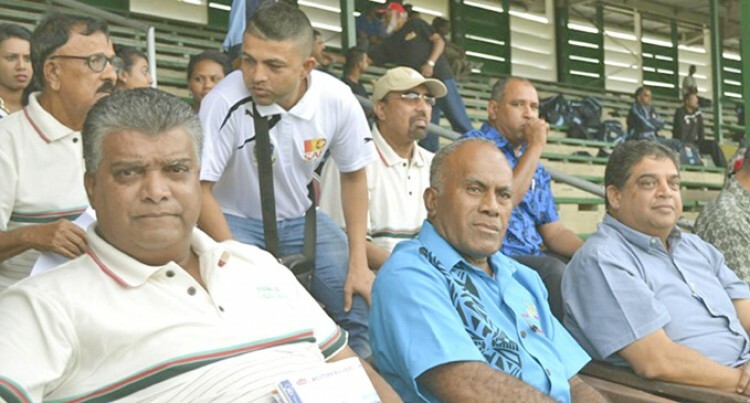 During this time he was Fiji FA’s international liaison executive and played leading roles running Fiji-affiliated veterans tournaments and the ever-growing Pacific Cup. Prior to his move to New Zealand, Yusuf had a 29-year working career at the Fiji Sugar Corporation (1978– 2007), where he climbed the ranks to hold senior management positions based in Sigatoka, Nadi, Lautoka and Ba. He was Nadroga Soccer Association president in 1988 when they won a grand slam culminating in their IDC victory after 50 years and the Fiji FA VP and Senior VP from 1990 to 2007. Yusuf has also been director of the national football teams, a FIFA match commissioner, and in 2008 was awarded the FIFA Order of Merit for his contribution to football’s development in the Pacific region. The Cuvu native from Nadroga can’t wait to return to Fiji. “You simply have to look around to see how far Fiji has come, not just in football and sports, but in terms of economic progress and development,” Yusuf said. Yusuf said football in the country had a bright future with the support of districts, clubs, schools and religious sporting groups involved. Yusuf takes over as CEO on March 1.